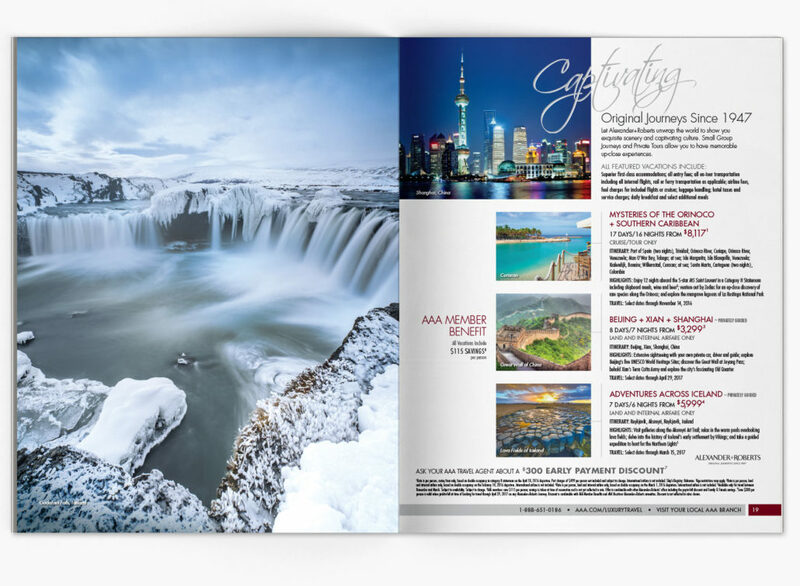 Consistently ranked as one of the worlds largest travel agencies, AAA Travel has been a dependable, familiar and trustworthy resource for their members. 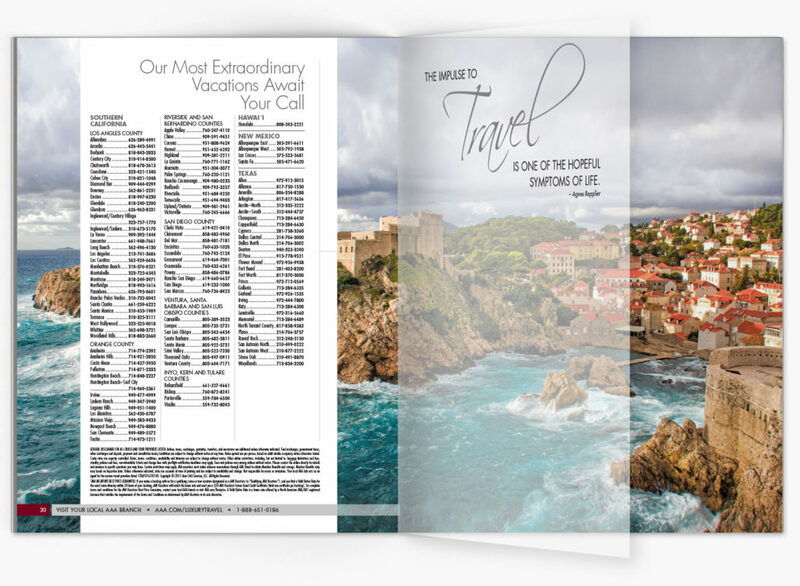 They are also one of the few that still employ full-time travel agents to assist in the planning of vacations. 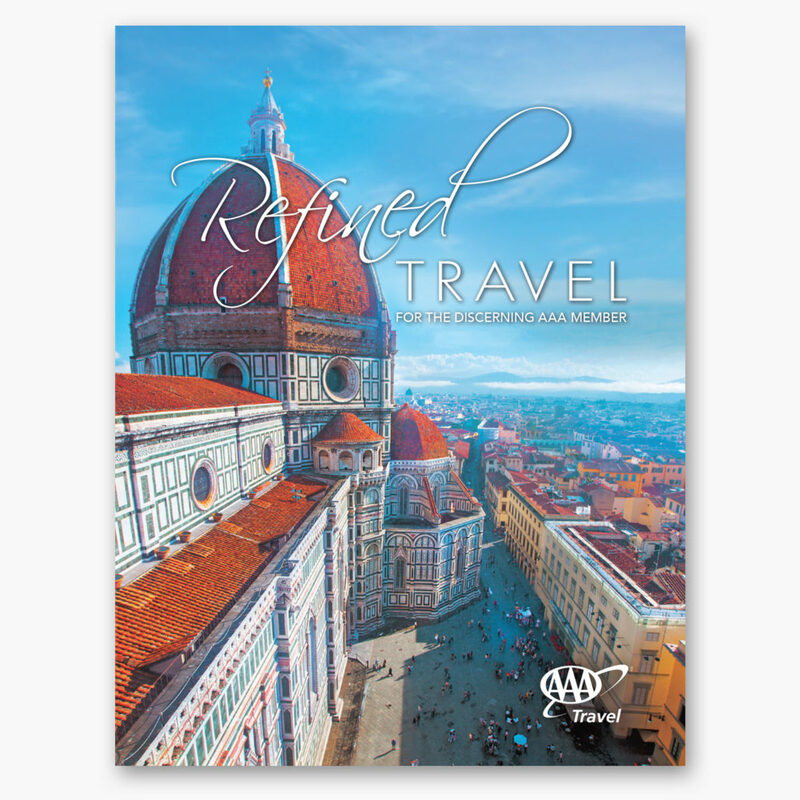 The world of travel resources has been changing quickly with the options becoming more sophisticated, so AAA came to us to help update and refine their brand look to better reflect the quality of their offerings. We were given the opportunity to assess and refine a wide range of their brochures and mailers. 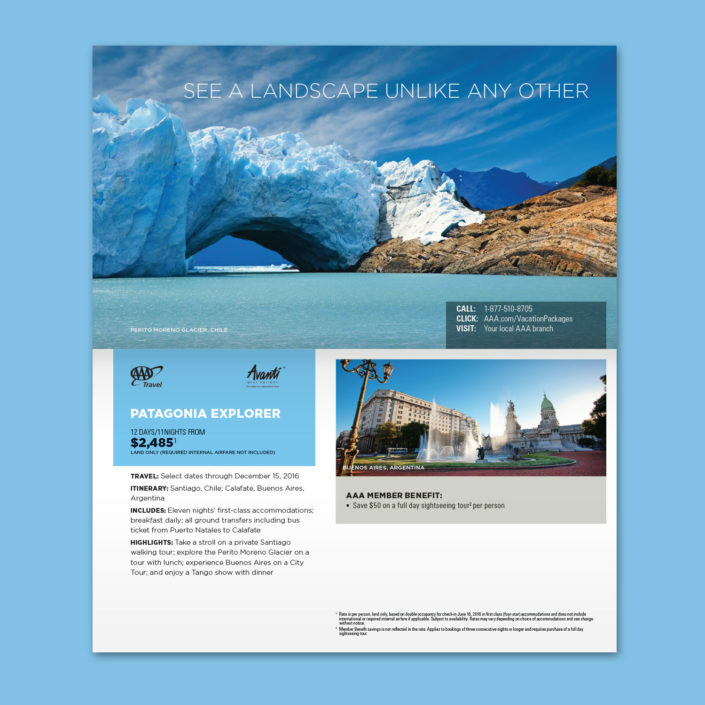 Our approach has been to create brand templates that are appropriate to the demographic, simple to read, and modern in their design. 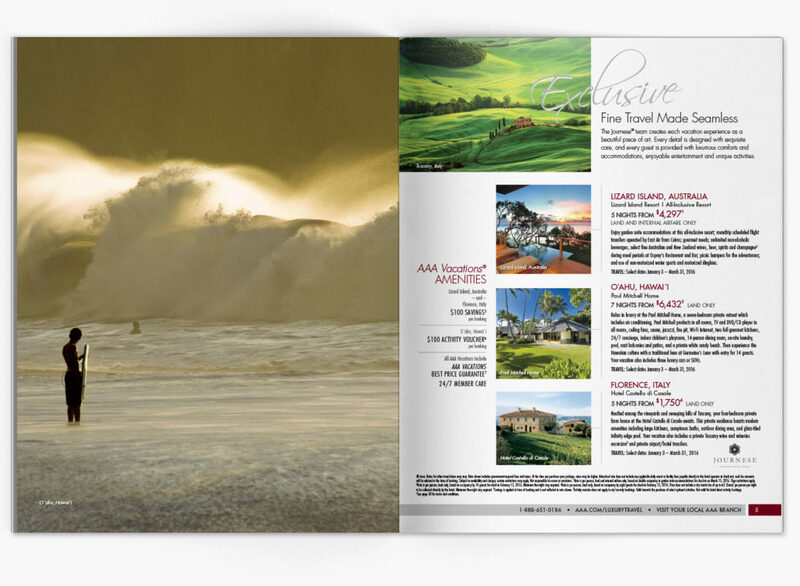 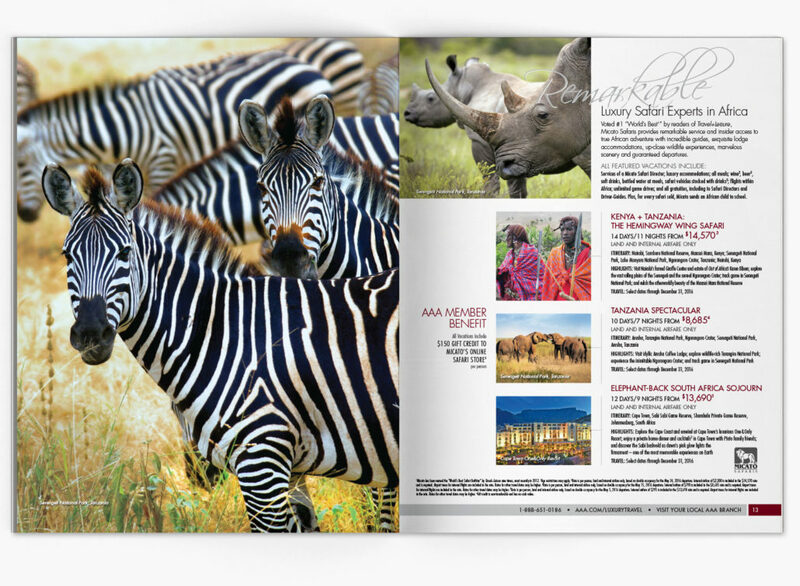 We created layouts that maximize compelling photography that will arrest the reader and create an “I want to be there” attraction. If the reader has a hard time throwing the brochure away, we’ve done our job! 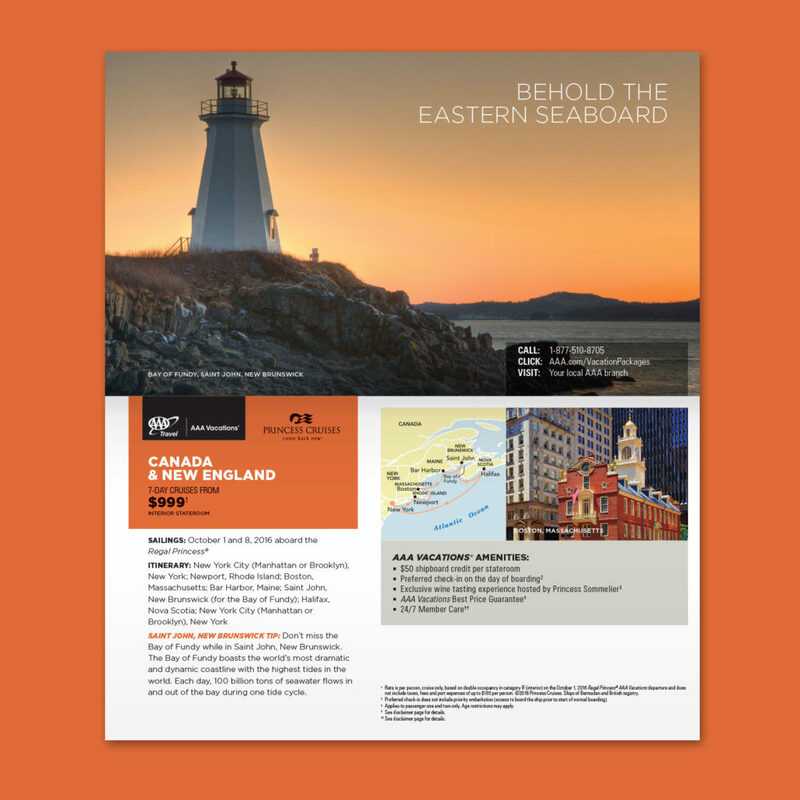 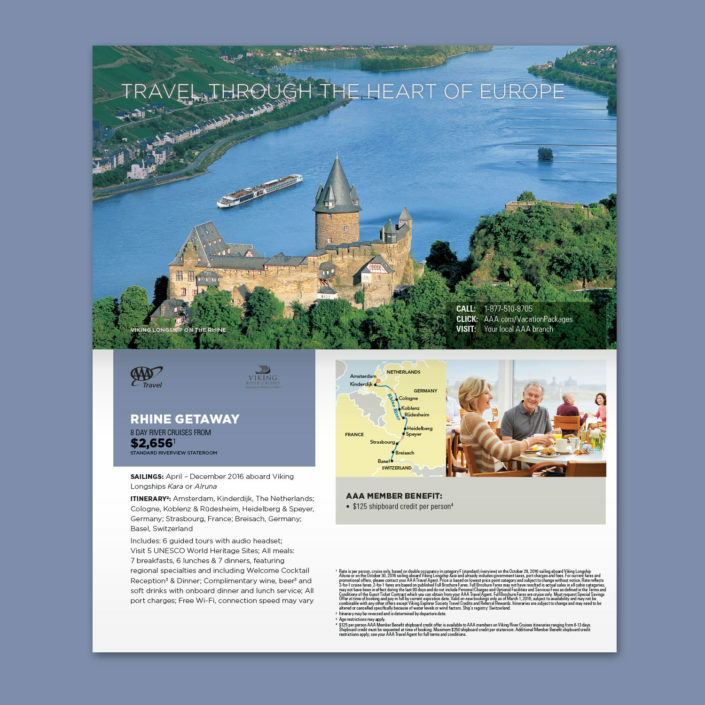 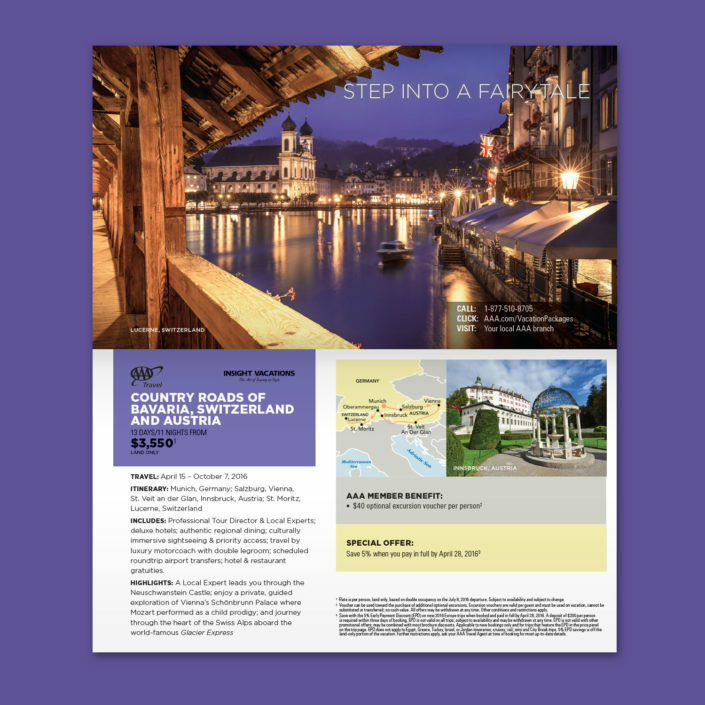 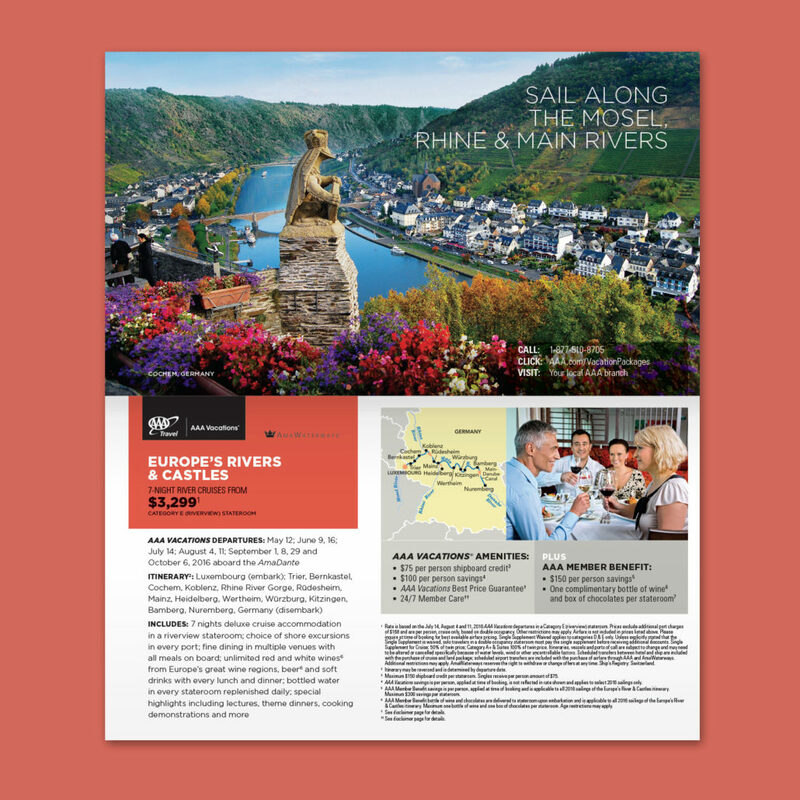 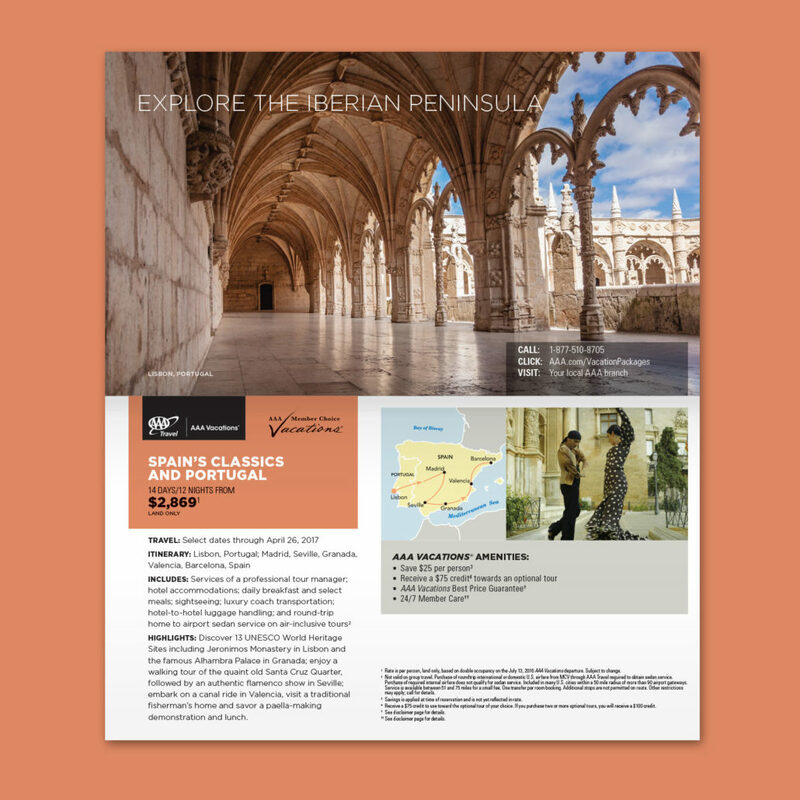 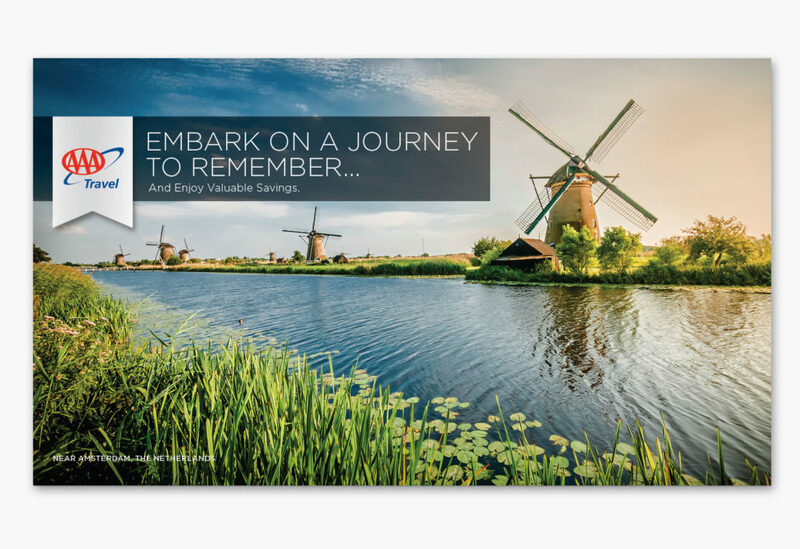 The Tour & Cruise Brochure is a 40 page self-mailer that is sent quarterly. MIX was charged with reviving the design template and creating a simplified, clean and modern approach to the layout. 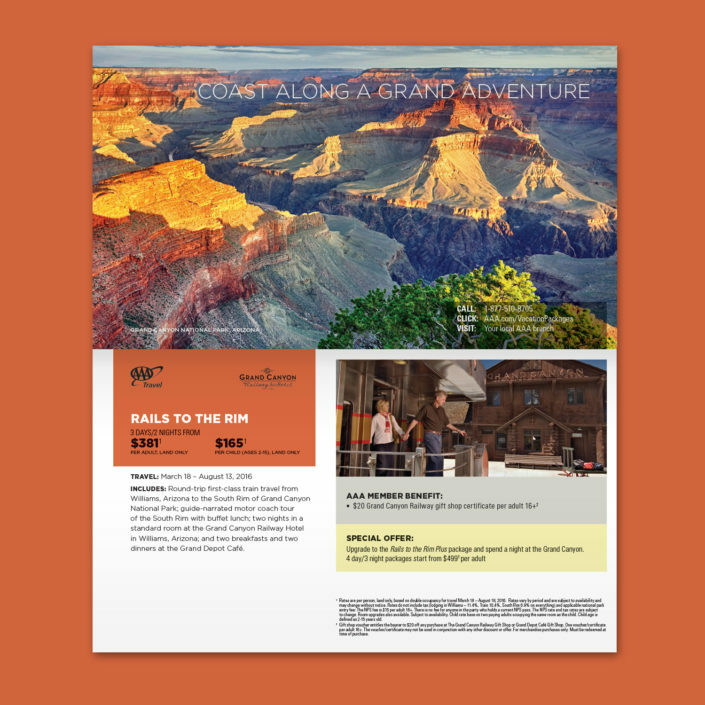 We set about creating a easy-to-read and use framework with legible and modern typography that emphasized great photography. 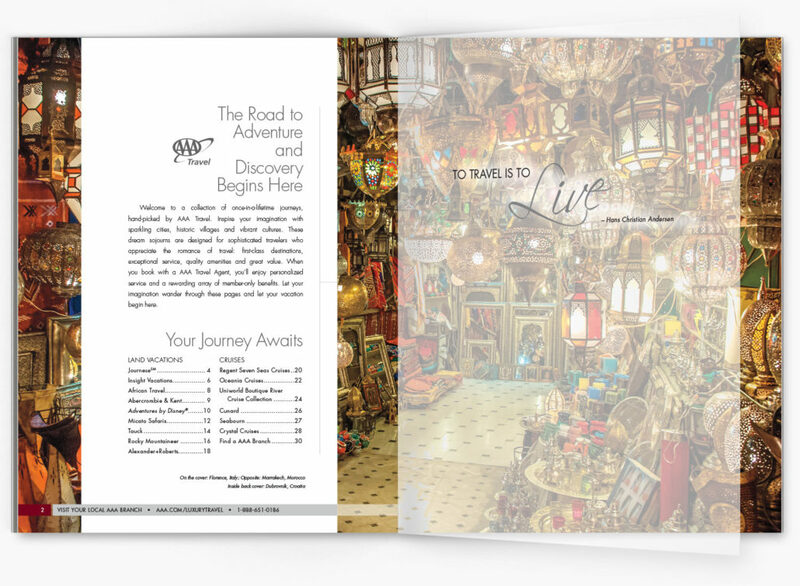 The result is a travel booklet that doubles as a beautiful dream book that is hard to throw away! 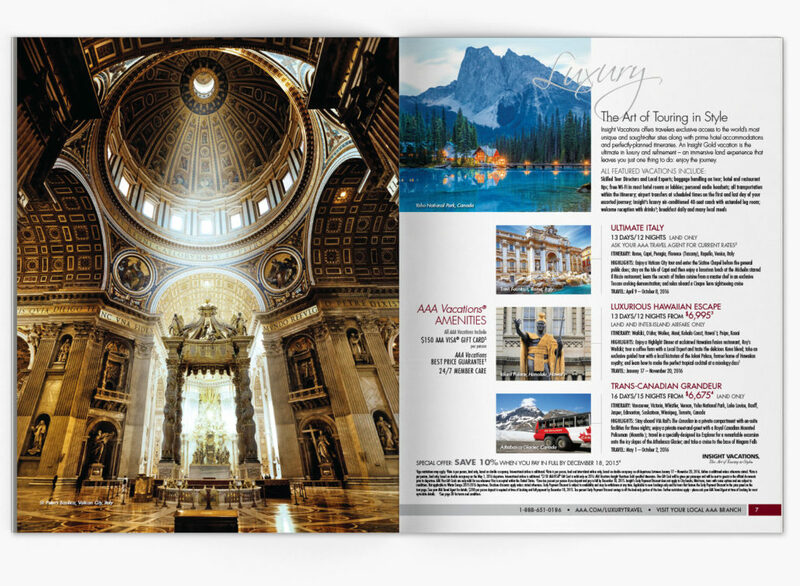 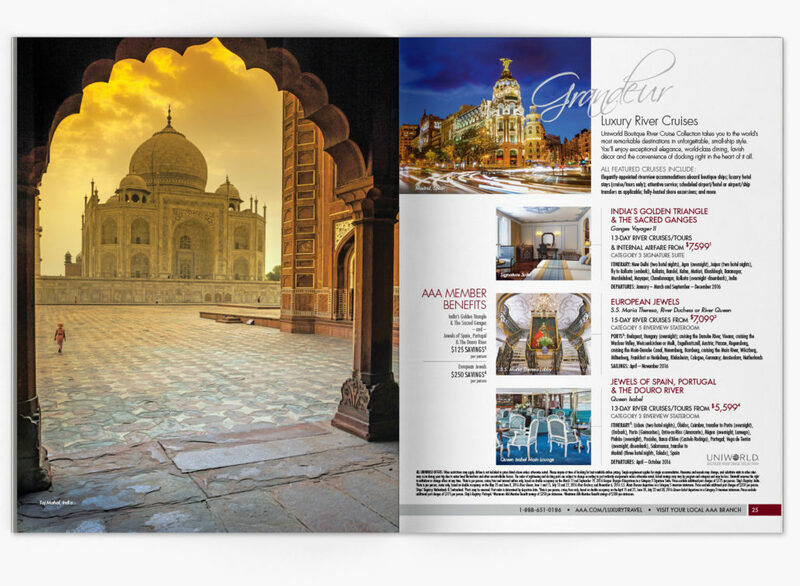 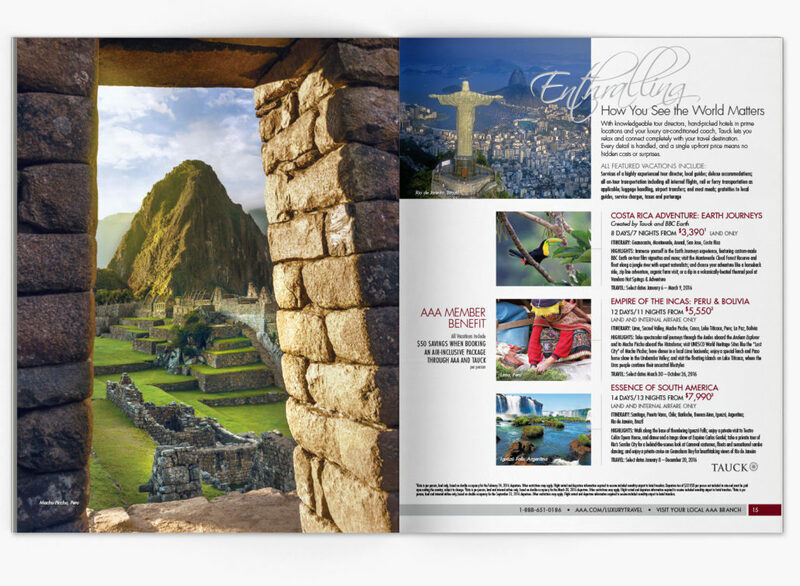 The AAA Luxury Brochure is a collection of their premium travel packages. 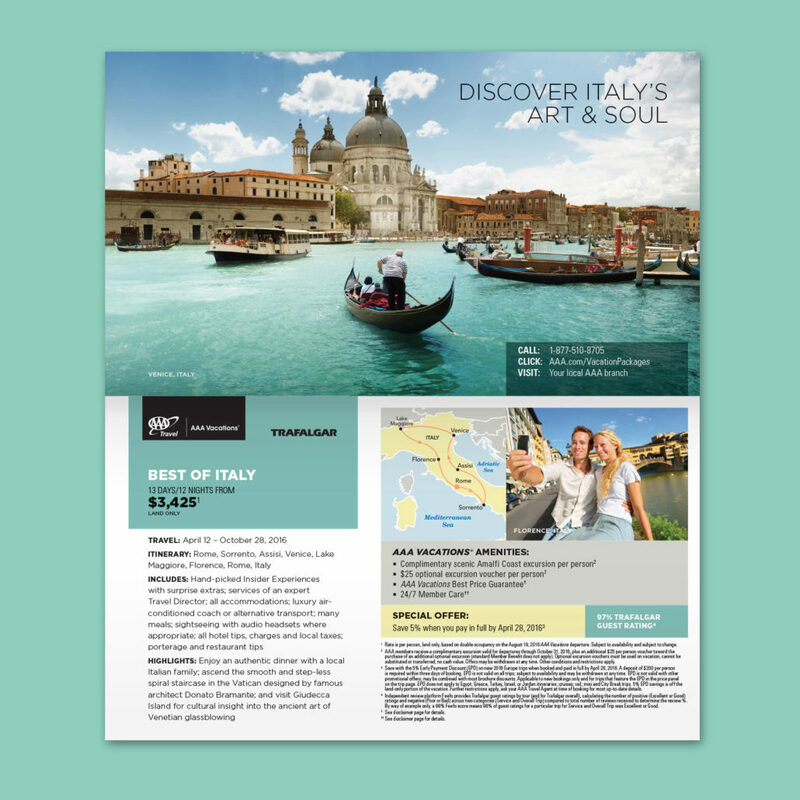 This brochure goes out to a wealthier and older customer demographic. 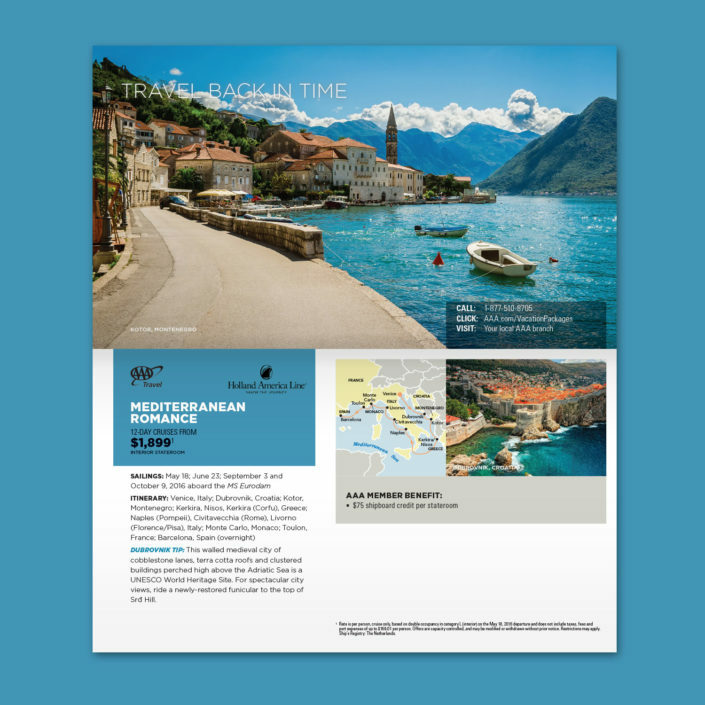 Our approach is to stay within the existing brand guidelines while evoking a more traditional sense of elegance in premium travel.